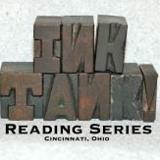 The Ink Tank Reading Series is set to reboot this coming Tuesday (September 27th) at 1215 Wine and Coffee on Vine Street. The first event of the series is set to begin at 8:00 and will feature author Ian Stansel. You can read about it in City Beat by following this link.